Cosmic Fog Chewberry E-Juice - Money Off! 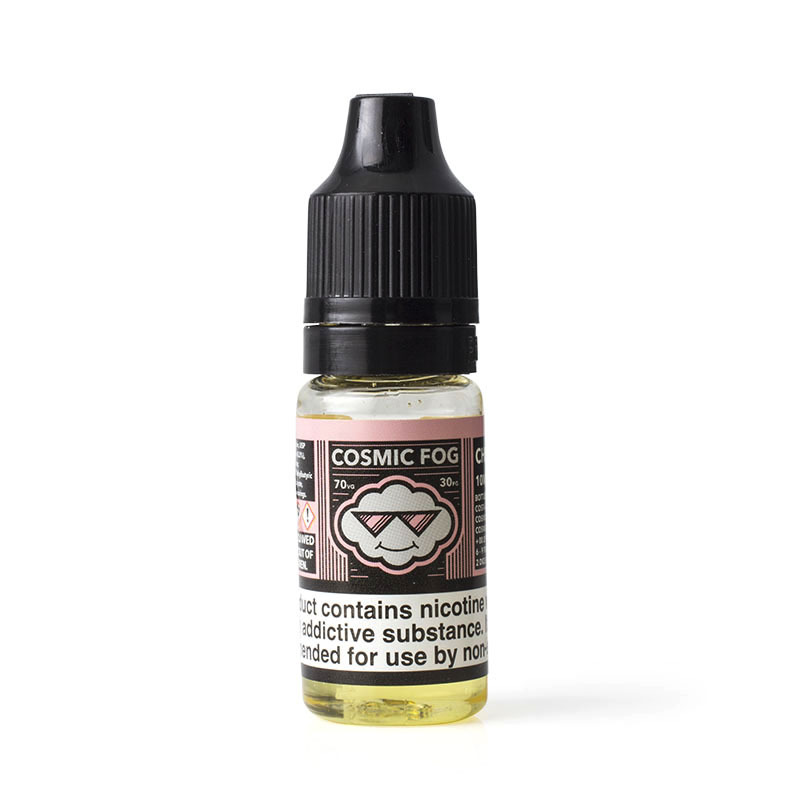 The Cosmic Fog Chewberry E-Juice is a juicy mouthful of strawberries, sweet passion fruit and Cosmic Fog's own secret blend of tropical delights. All the flavour is wrapped up in a chewy candy taste that will fulfil any sweet tooth. Cosmic Fog are a Californian company who understand perfection can't be rushed, spending time testing and developing each flavour to ensure both the best flavour and to make sure it doesn't get boring! Chewberry E-Liquid is supplied in one size and four different strengths. Some of our stock of the Cosmic Fog Chewberry E-Juice is nearing its expiry date and, in light of this fact, we are offering the affected stock for a discounted price of £3.59. Act quickly, as this offer is only available while stocks last! Sweet, juicy and surprisingly refreshing, Chewberry is ideal for those with a sweet tooth who need to feed it on a regular basis. The e-liquid mixes a juicy mouthful of strawberries, sweet passion fruit and tropical delights. Better yet, the flavours are all wrapped up in a chewy candy taste which will satisfy all your cravings. Please note that the image displayed shows this product in a larger 30ml bottle. This listing is for the 10ml bottle. Charlie's Chalk Dust Wonder Worm E-Liquid - Money Off! Cosmic Fog Baie Creme E-Juice - Money Off!